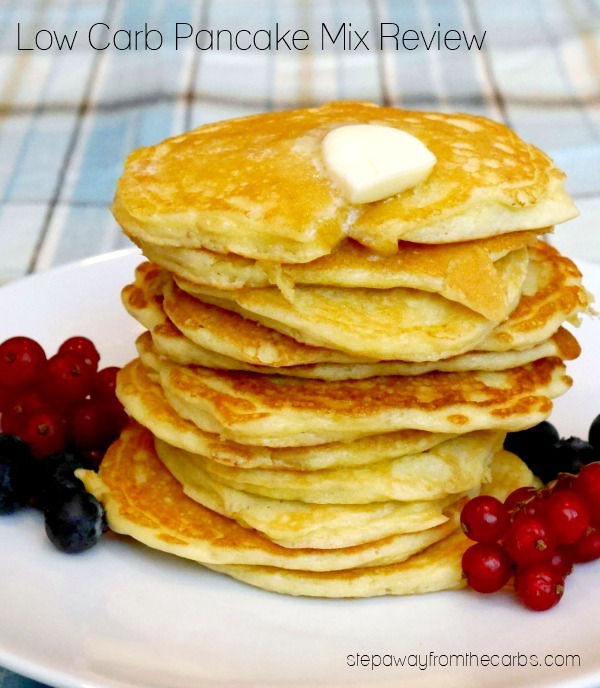 This low carb pancake mix makes some yummy fresh pancakes with only 1g net carb per serving. 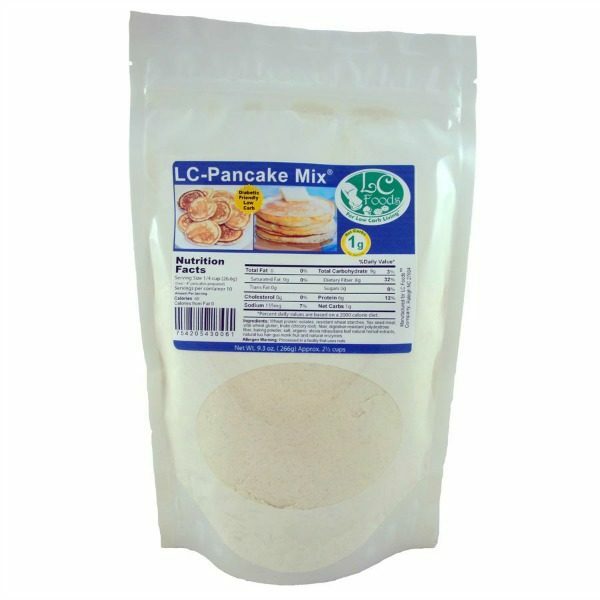 Disclosure: I was provided with this Low Carb Pancake Mix from LC Foods free of charge in exchange for my fair and honest review. This post contains affiliate links. Please see my disclosure policy. 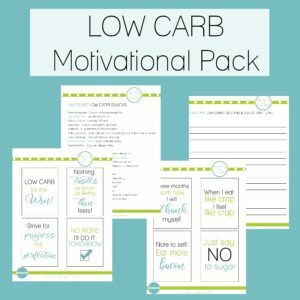 I love trying out new low carb products. 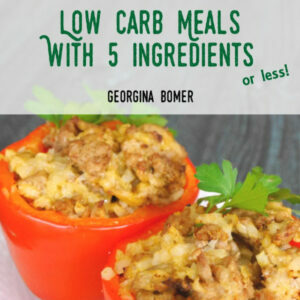 So much about the low carb lifestyle means starting from scratch and only having a limited range of convenience foods, that to try a pre-made mix for something like pancakes seems like a great idea. 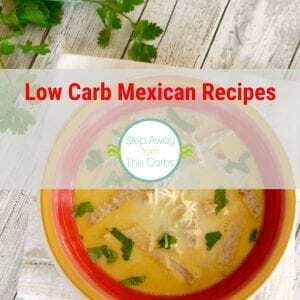 I was really impressed with the Low Carb Pancake Mix from LC Foods. The instructions are easy to follow AND you don’t have to wait for the batter to rest as for traditional recipes. You just have to add heavy cream, butter, eggs and vanilla extract. And actually, I forgot the extract and they still tasted great! I decided to make little pancakes that were about 3″ wide. I think they were just the right balance of sweetness – I didn’t need to add any syrup to them but they are not SO sweet that syrup would be overkill either. A little bit of butter was all I needed for a very special breakfast! I did find the serving sizes quite tricky to work out. For one batch of pancakes, you need ½ cup plus 2 tablespoons of the pancake mix. At the top of the packet it states that the mix makes 20 4″ pancakes – but it isn’t immediately clear whether this was for one batch or the entire bag, which contains approx. 2½ cups. As for nutritional information, the bag states that one serving is “¼ cup (26.6g) Two 4″ pancakes, prepared”. 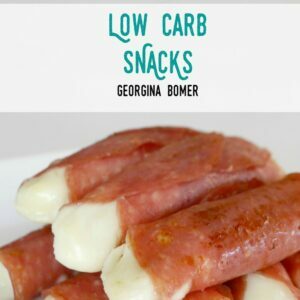 That serving is made up of 9g carbs, 8g fiber, and therefore 1g net carbs. However you look at it, these pancakes are very low carb! I’m sure if I sat down with a pencil, paper and abacus I could work it all out, but I’m not going to. I’m too busy eating my freshly made low carb pancakes.